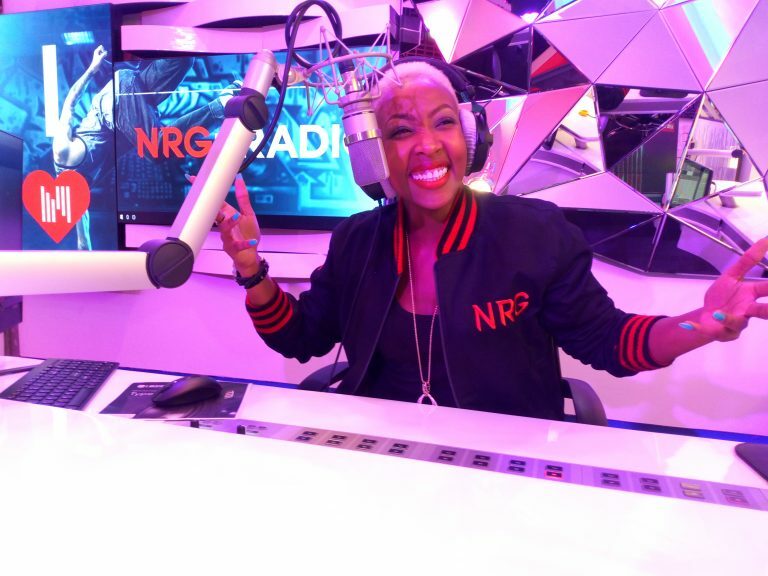 NRG Radio presenter Mwalimu Rachael yesterday went on a Twitter rant after the radio station was marked as one which lacks content and creativity. Under the hashtag #MuteDarkEnergy, KOT said that whatever is being done on NRG is just a collection of things that happened online that the station jumps on and swim in the wave. Mwalimuch Racheal didn’t take this kindly and went on a rant saying that Twitter bigwig and influencer Brian Mbunde, who is among the first to start the trend, was just bitter because he couldn’t make it on radio. “#KeepTheSameEnergy on and off these fake twitter streets. Some of you are here throwing stones yet tukipull footage from our studio we shall see you dancing inside our studios and drinking. Hata haya hamna? Man. You really are the S.I unit of fake and two-faced. Aunty will pray4u,” read one tweet. Things then got heated and people started re-posting the viral picture she took with Timmy Tdat. Mwalimu was forced to explain about the picture saying that she took it for fun but ended up regretting later on. “To those posting the pic with Timmy… ah. Predictable. But you see, once u mess up admit it & move on with ur life my people, no one can hurt u. What you don’t know is that the whole time we took the pictures, we were laughing at how silly we felt. Impatience from one end + adrenaline from my end = Bad decisions,” she said. “I have learnt that. Before I knew it the pictures were out there making rounds. Then you know that feeling of ‘I done messed up?’ It started creeping in. It starts off slowly, you try to suppress it, distract yourself, tell yourself you have nothing to worry about, but it’s still there. Lingering. Worst.Feeling.Ever.here’s immense pressure about being a wife, a mother and an entertainer at the same damn time. Things you wanna do but can’t, things you wanna say but shouldn’t. I keep praying that I know how to navigate those waters…This is to my audience, my admirers, even my haters who have been waitiiing for me to mess up. What I did was wrong. I can admit that. That is how I know I’m in a good space,” read her post in part. Brian urged her to stop complaining after being criticized.